The frequent and not-so frequent traveller has witnessed an extraordinary increase in “security related” practices at airports in the past decade. Here is a slightly irreverent top ten of the most wasteful and pointless inconveniences faced by the travelling public and imposed in the name of “security” – based on my travel experience. 1. Brussels Zaventem airport prohibits “runny cheese” brought on in hand luggage unless purchased at a duty free store at an EU transit airport. Paranoid nonsense. 2. Minsk International Airport has THREE poor security checks before boarding a flight – once to enter the front door of the airport, second to check-in and once more at the boarding gate. Oh well. 3. CSA Czech Airlines used to ask it’s flight attendants to check everyone’s boarding pass stub as they enter the plane – even after the passenger will have gone through security to get to the boarding gates AND they would have had their boarding pass scanned at the gate with valid photo ID. I haven’t flown with CSA in 2 years since they drastically slashed their route network so don’t know if this practice persists. 4. Istanbul Ataturk Airport requires all passengers to screen their luggage at the entry door of the airport – including belts, watches, laptops etc. For Turkish Airlines, this is a huge dent in their value proposition and a huge annoyance for frequent flyers. 5. All Moscow airports require passengers to arrive THREE hours before departure due to “extensive security checks”. This is the case even though airlines open their check-in desks only 2 hours before departure. The result? Lots people hanging around the airport wasting their time. 6. Riga International Airport and Sofia Airport security staff ask to see both your boarding pass and photo ID. They are not law enforcement officers and have no legal right to request it. The result? Longer lines at security as these people check for ‘fake’ or suspicious ID. 7. 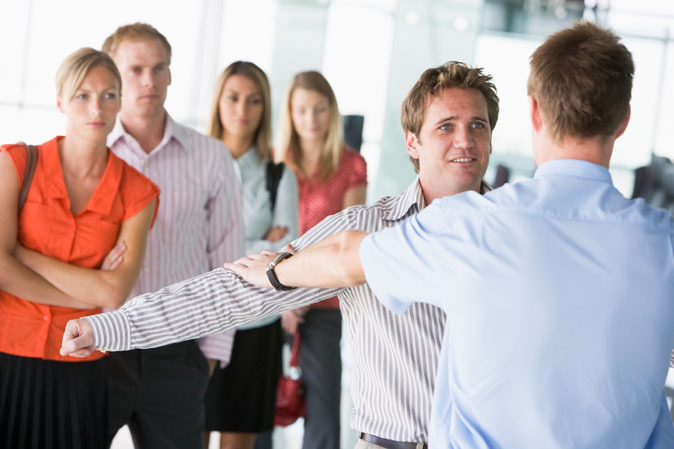 EgyptAir employ staff at the door of aircraft to double check boarding passes. Even after two security checks and gate staff and police officers have checked your boarding credentials. Expect long lines to board flights at Cairo. 8. Budapest Airport have a “random” security check procedure where the passenger “beeps” as she passes through the metal detector even if she is not wearing any metallic objects. When given the frisk with the metal detector wand of course, nothing is found. When I once asked why they do this, I was told that people could be carrying non-metallic explosives. When asked why they chose me (because I look dark and swarthy), I was told it was random. To test the random nature of the process, I waited around for 5-6 minutes and noticed that the next “random” check was a black man. Mmmmmmm. 9. Vienna International Airport security staff recently interpreted tennis racquets as weapons and prohibited a passenger from boarding a flight in possession of them in hand luggage. Turns out that the EU had a secret list of prohibited items that they refused to publish until the European Court of Justice forced them to. 10. Most check-in procedures. The check-in agent asks a passenger transiting with less than 1 hour transit time whether they want their luggage checked through to the final destination. Whenever I get asked that, I ask the check-in agent why I wouldn’t want my luggage checked through. They typically respond: “I have to ask for security reasons”. When I respond by saying if their boss required them to undress for “security reasons” (with a smile on my face of course), would they comply, they are remarkably silent. NextHub Carriers and National Airlines – are they really needed?